In an exclusive interaction with People Matters, Dr. Hogan shares what do organizations need to keep in mind in order to identify high potentials and the challenges which they will face in engaging the new generation of future HiPos. 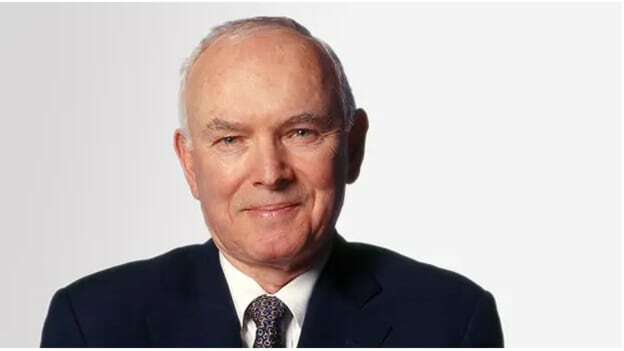 From the development of the socio-analytic theory to establishing the link between personality and organizational effectiveness, Dr. Robert Hogan revolutionized the way performance measurement was looked at. He has been the most vocal psychologist to champion the cause of how personality is instrumental in performance and organizational effectiveness. No wonder he has been named as one of the greatest living psychologists by his peers. Dr. Robert Hogan will be a key speaker at TechHR Singapore 2019 where he will take sessions on identifying the future-oriented high potential and developing high potentials that are needed for an agile and transformational business context. In another keynote session, ‘Personality and the Fate of Organizations’, he will also shed light on understanding the links between personality, careers of individuals, and the fate of organizations. In an exclusive interaction with People Matters, Dr. Hogan shares what do organizations need to keep in mind in order to identify high potentials and the challenges which they will face in engaging the new generation of future HiPos. What are some of the key things organizations need to keep in mind when developing an agile and transformational business context? Think about your existing policies and especially existing procedures—rules of the road and accepted ways of doing things. Review them carefully to see if they are still valid and appropriate. See if they make sense based on perceived future business trends and changes in technology. It is also important to remember that consulting firms have a vested interest in the claim that the world of business is changing rapidly and leadership needs to adapt. In our view, the fundamental task of leadership is to build and maintain a high performing team, and that will always be the case. Engagement drives performance. What are the salient features to keep in mind while engaging high potentials in order to help them deliver? First, how do you identify high potentials? How do you know that your high potentials are really high potentials and not just narcissistic self-promoters? Narcissists require special care and feeding; real high potentials are task-oriented and don’t require special care and feeding. As for engaging the real high performers, it is important for them to know they have support and then to be left alone to do their work. But the most important thing to keep in mind about high potentials is how they are led; incompetent management will drive them away. How are the paradigms of engagement changing with the changing nature of work? What will it look like in the next generation? Engagement is created by the way managers treat their staff. Younger people tend to be more tech savvy than older people. Managers will need to maintain a careful balance between delegating and trusting the judgment of their younger tech-savvy staff and not getting fooled by them. This will be a challenge. What do you think are some of the challenges which organizations will face in engaging the new generation of future high potentials? As organizations become more dependent on technology, it becomes easier for technical specialists to work mischief. As Ronald Reagan used to say, “trust but verify”. You have amply demonstrated that personality factors influence organizational effectiveness in a variety of areas. Keeping this in mind, what are some key factors organizations should focus on while making key hires? The most important thing is to understand the difference between emergence (i.e., standing out in the organization) and effectiveness (i.e., managing a team properly). Many people who seem to be high potentials are good politicians but not good leaders/managers. Conversely, many good leaders/managers are not good politicians. Properly validated assessments are the best way to find and promote good leaders/managers. Dr. Hogan will be one of the key speakers at TechHR Singapore 2019 on 28th February 2019 at Marina Bay Sands, Singapore. Register here for the opportunity to interact with one of the world’s top psychologists!